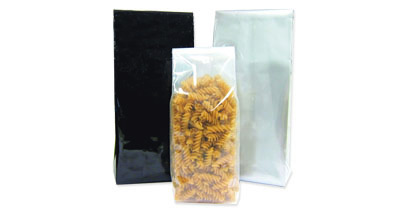 When looking for a simple and cost-effective packaging solution, poly bags are typically one of the first options that come to mind. Although the barrier quality of these pouches is significantly lower than a foil material, they still provide an air-tight environment. Since many products don’t require an extended shelf life, poly is being used as a great alternative. Sizes range from 2 oz. to 5 lb. The 5 lb. size is also available in black and silver. The side-seal style available on the 6-10 oz. and 12-16 oz. allows labels to be applied smoothly since the label does not have to cover the seal. The concealed seal on the 5 lb. bags creates extra durability to prevent bag bursting.